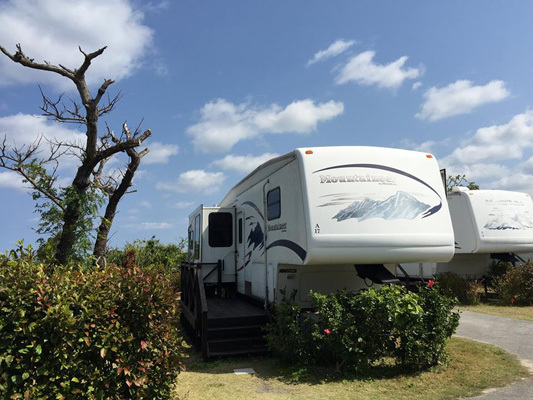 Even though it only takes 2 to 3 hours to drive from the southern part to the northern part of Okinawa, to minimise the driving time, we will be staying at different parts of Okinawa during our 6D5N trip. 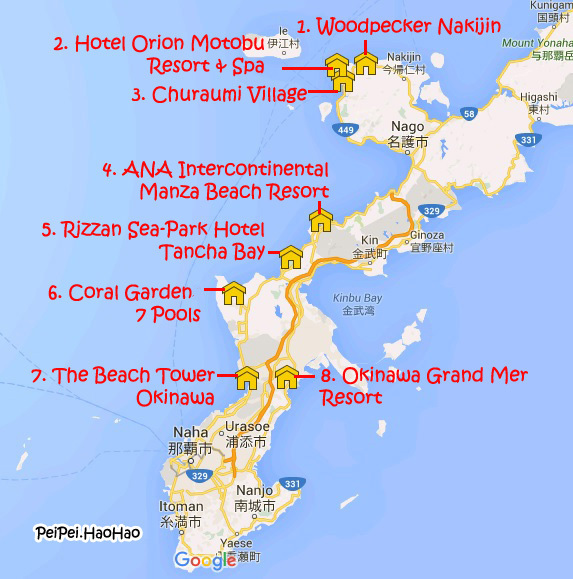 I am going to share with you 8 accommodations in Okinawa that I had researched on. 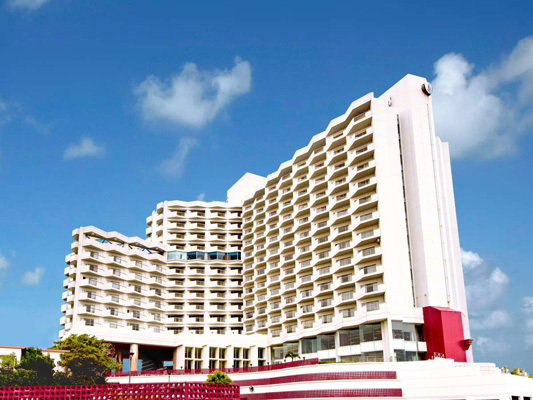 We have not stayed in any of the accommodation mentioned in this blog post except Rizzan Sea-Park Hotel Tanch-Bay and Okinawa Grand Mer Resort, the findings are based on what I read from the official websites, Facebook pages, many Taiwanese and Hong Kong blogs, as well as travel books. And this is not a sponsored post! The rate is correct as of April 2016. The range in the rate is due to the date of check-in. 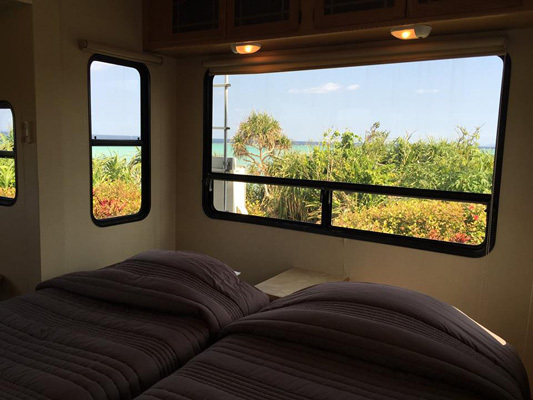 Yes, these are caravans, but they are not for you to drive around Okinawa! It would be quite a special experience for those who haven't stayed in caravan before! The room is not really big, after all, it is a caravan. 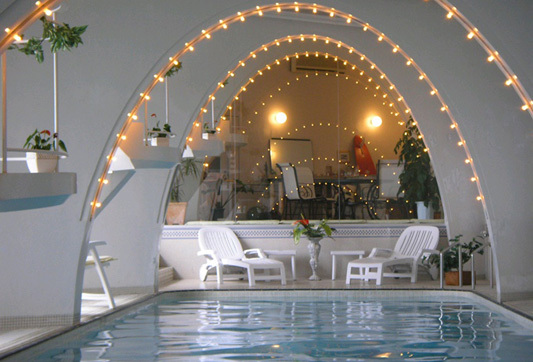 Facilities of the resort include a swimming pool, open bath and sauna. It is just a few minutes drive to the famous Okinawa Churaumi Aquarium. 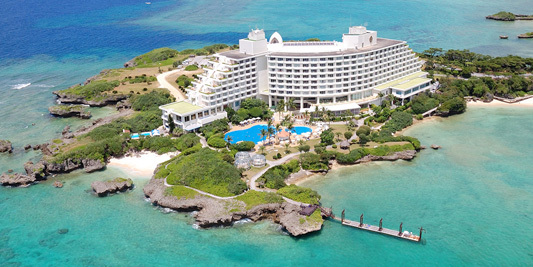 When I did my research on this hotel, I was attracted by the hot spring with sea view! 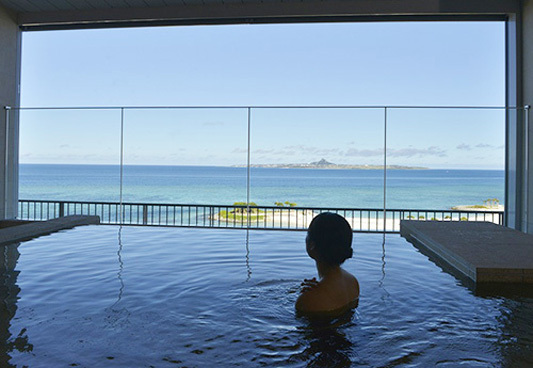 Other than the hot spring, the hotel has spa, as well as indoor and outdoor swimming pools. 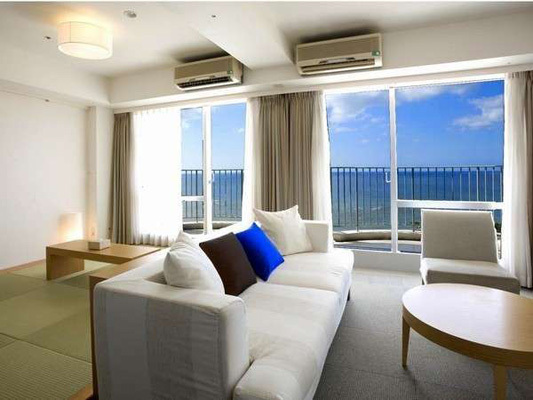 It is just a few minutes walking distance from Okinawa Churaumi Aquarium. The children would love this Ocean View Kids room! Look at the cute whale sharks on the wall! This reminds me of my stay at a Japanese friend's house many years ago. This is simply a great way to experience the local Japanese life! There are living room, kitchen and toilet at level 1, and a bedroom (with 2 single beds and a few sets of futons) at level 2. Oh, and there is a bench outside the house! 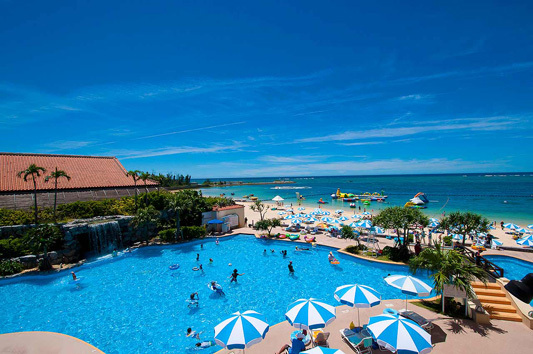 It is just a few minutes drive to Okinawa Churaumi Aquarium. Don't you think that this resort looks impressive? In addition to the common marine activities (e.g. 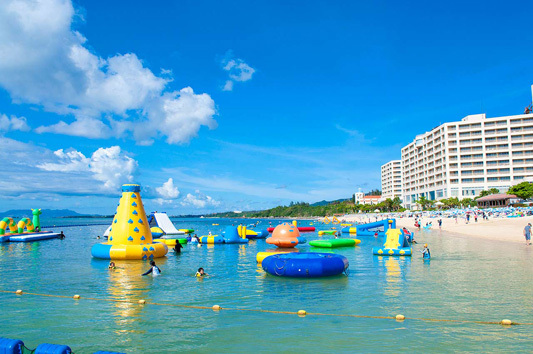 sea walk, diving, snorkeling) that many seaside resorts offer, this hotel has a submarine! 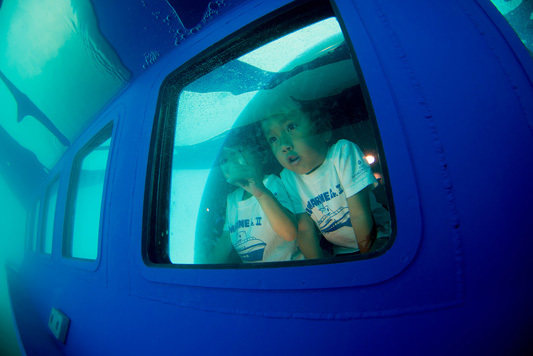 You can view the beautiful underwater world in the submarine! How cool is that! 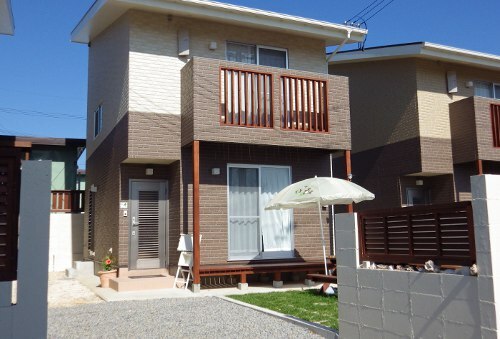 You may have noticed that those seaside resorts that I shared above cost quite a lot. 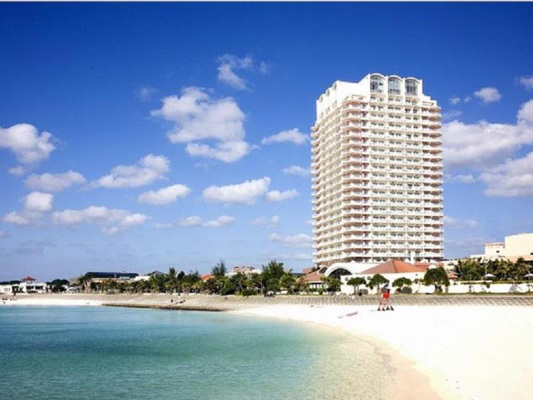 Rizzan Sea-Park Hotel Tancha Bay is one of the most affordable seaside resorts that I can find! 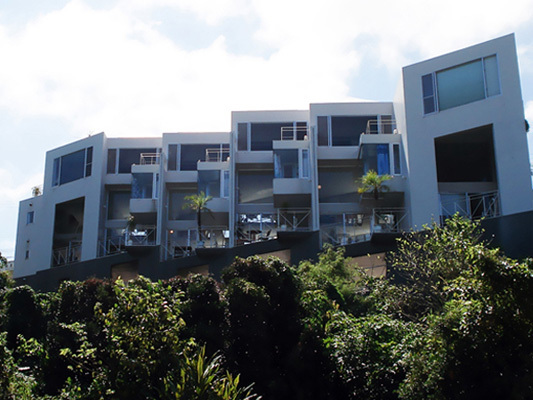 It has a private beach that stretches 800 metres. 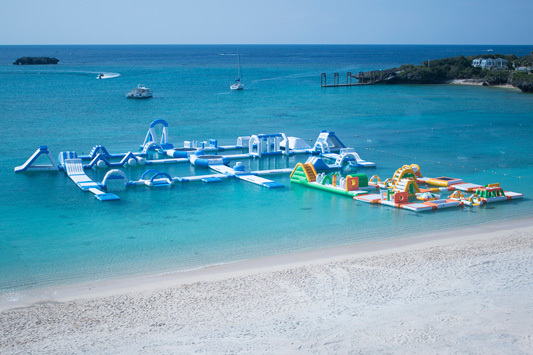 The inflated floats on the beach and at the seaside would definitely be appealing to my children! There are outdoor and indoor pools. 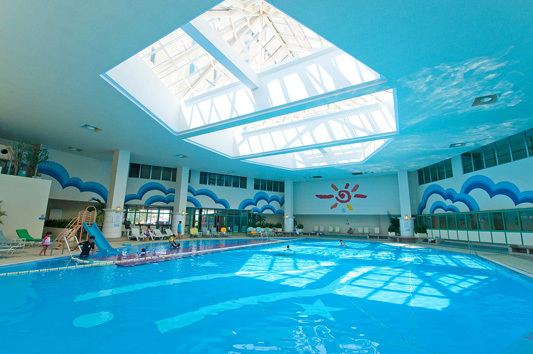 The indoor pool is child-friendly, there is a slide! 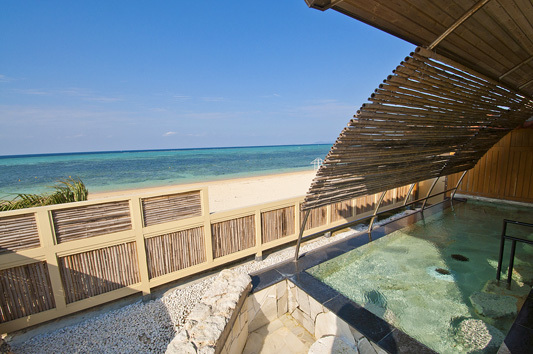 There is also a spa facing the sea! 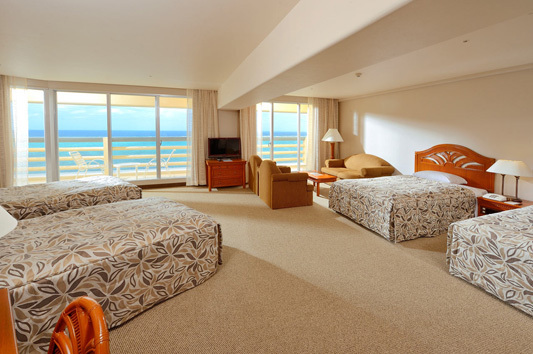 After reading many reviews by Taiwanese bloggers, the room is a bit old, but is still clean and comfortable to stay. The seaview rooms are more expensive than garden view (or rather, carpark view). I notice that booking this hotel from its official website (in Japanese) is cheaper than other English hotel booking websites, and there are many accommodation plans varying in the usage of facilities (e.g. spa) and number of meals. Check out their discount rate for booking 77 days in advance! Rate per night: more than SGD200 per room per night, depending on number of people and type of room. Check out their discount rate for booking 77 days in advance! 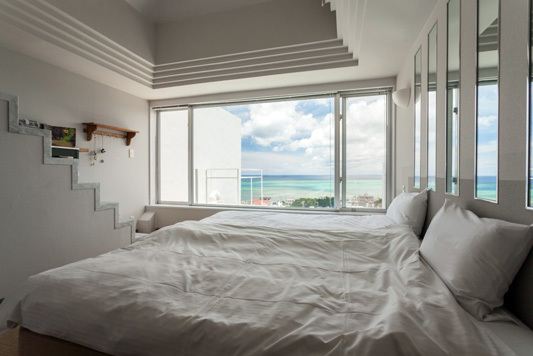 I saw this from a Taiwanese variety show, and fell in love with the great view from the apartment! 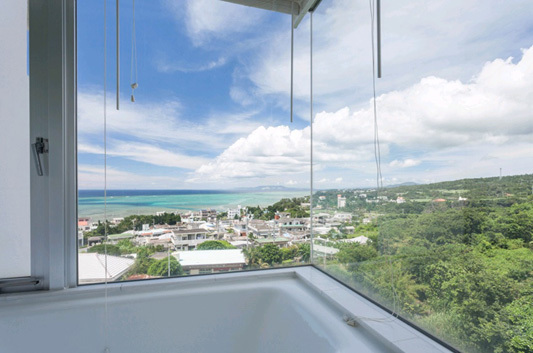 Imagine yourself relaxing in the bath tub and enjoying this view! There are 4 levels in each apartment - car park at level 1, living room and kitchen at level 2, bathroom and resting corner at level 3, and bedroom (2 single beds and 1 sofa bed) at level 4. There is a common indoor swimming pool at the basement! The only issues I have with this accommodation are the design of the level 3 - there is a "hole" below the table, babies and toddlers may crawl underneath the table and fall down to level 2. The staircase looks quite steep. So you have to be very careful if you are staying with young children. This hotel is very thoughtful for families with younger children. Each child would receive a welcome gift set which includes a few pieces of diapers and baby food! Located on Sunset Beach (famous for err... sunset!) and near American Village (famous for shopping), the location is very convenient! The visitors can also use the hot spring (Terme Chula-U) next to the hotel. 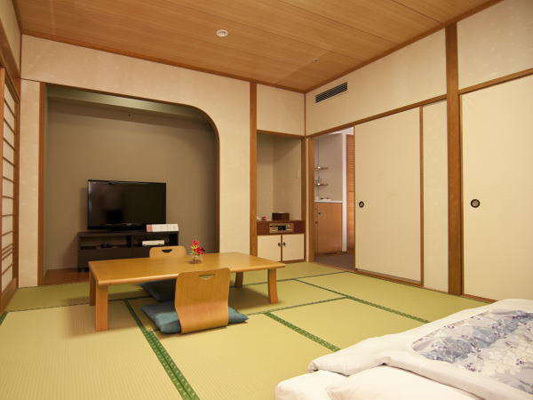 If I have a chance to stay here, I would like to book the Japanese-western room because of the tatami floor! Since we are visiting Japan, I am determined to find an accommodation with traditional Japanese room - having tatami floor and we sleep in futons! However, many such rooms are rather expensive. 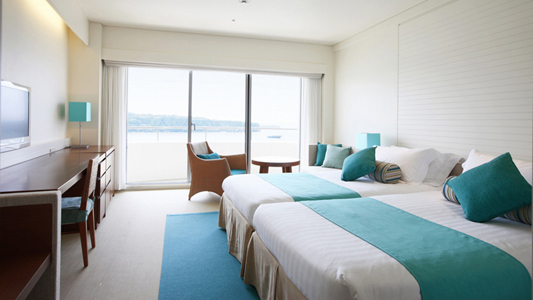 Finally I found Okinawa Grand Mer Resort, which costs about SGD200 per night, including breakfast for 4 of us! It is located near a super big shopping mall Aeon Rycom, as well as Awase Fish Market where you can enjoy the taste of freshly caught seafood! After planning the itinerary, we decide where to stay based on the location, and whether our wallet can afford! 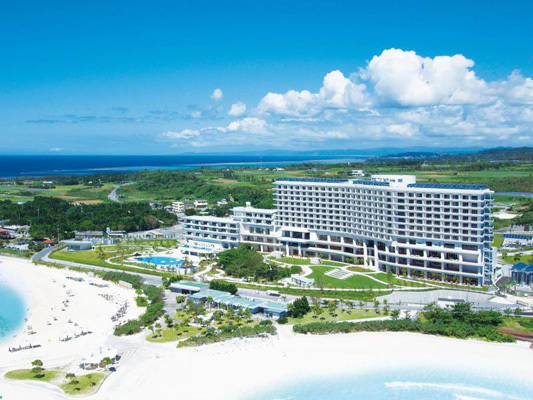 We have made our booking for two of these accommodations - Okinawa Grand Mer Resort and Rizzan Sea-Park Hotel Tancha Bay.